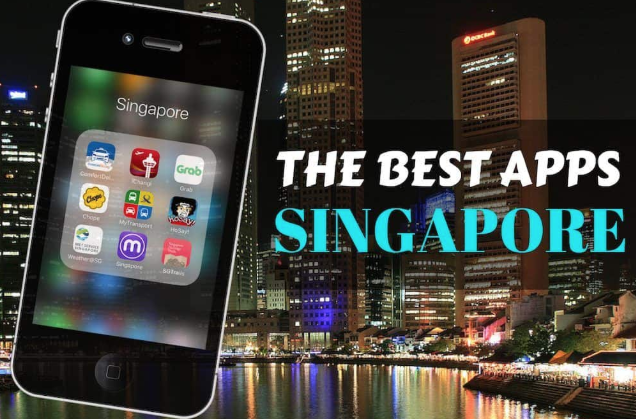 Let us tell you useful applications when you stay in Singapore Most of Singapore residents use the Whatsapp messenger. Singaporean says “Whatsapp me” instead of “Contact me” or “Text me” Like Korean says “Katok me” : p Line and Facebook messenger are used as well, but whatsapp is the most. If you depict Korean you use Kakaotalk, he/ she will feel friendly to you. :p Furthermore, its taxi apps. Next handy apps in Singapore are for Food delivery. Food delivery in Korea is quite awesome and easy. 😀 Nonetheless It was dishonor that not many transmission food pick abroad before. To my huge exuberance, recently many food transmission apps are made and used. So you are able to experience numerous menus at home, besides pizza and burger transmission! YEAH !!!! 😀 Such as Italian, Vietnamese, Thai, Japanese ,.. etc. Korean chicken too! 🙂 Singapore food delivery apps are Foodpanda, Deliveroo, Honestbee, Grabfood. It examines that 3 dollars of delivery cost is added to total tolls. When you put your postal code on the web, eateries near you show up. Or you can exploration the menu you crave. You can get a discount code in internet. For example, If you google “deliveroo promo code”, you are able get a rebate system. Next apps I recommend use, is for transportation. This app causes you know MRT and bus arrival age. The apps are .. Mytransport, SGBus SGBusLeh … etc and the apps informing of find the street are Citymapper gothere But I use google delineates often. :p Let me tell you about bike sharing apps. There are plenty of bike sharing business in Singapore. The apps are Mobike, Ofo, Grabcycle, SGBike and etc .. One of the bike sharing business, Obike, shut down the operation recently. After installing the app, scan QR code on the bicycle and journey! You can park bicycle anywhere. For online store, Qoo1 0, carousell, Lazada, Zalora, ebay and etc .. I would like to recommend this app for those who travel often. iChangi You can check departure and newcomer of the flight in real era with this app. The next places are for your entertaining weekend in Singapore. You will see what’s going on Singapore, such as expo, culture episode, party .. The areas are visitSingapore, Timeout Singapore, weekender and etc .. The last-place one I recommend is for Korean and those who love Korean foods. :p Online Korean food shopping. You can tour the Korean mart in person, but likewise succession via online. On Solmart, ShineKorea, KoryoMart, and Emart, You can purchase Korean food and substances. Actually, I can find many Korean menus in Singapore marts as well. Such as Fair Price, Giant and Cold Storage Does it help you? If you know any supportive apps or website for living in Singapore, satisfy share through respond.